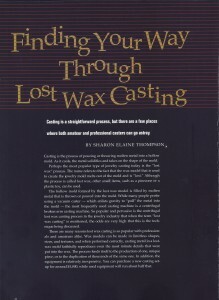 “Making the Casting Call.” Lost wax casting is an ancient, versatile process that allows you to make just about anything you can imagine. 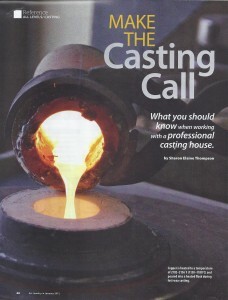 But it also requires very high heat, torches, high-silica plaster, and a learning curve. 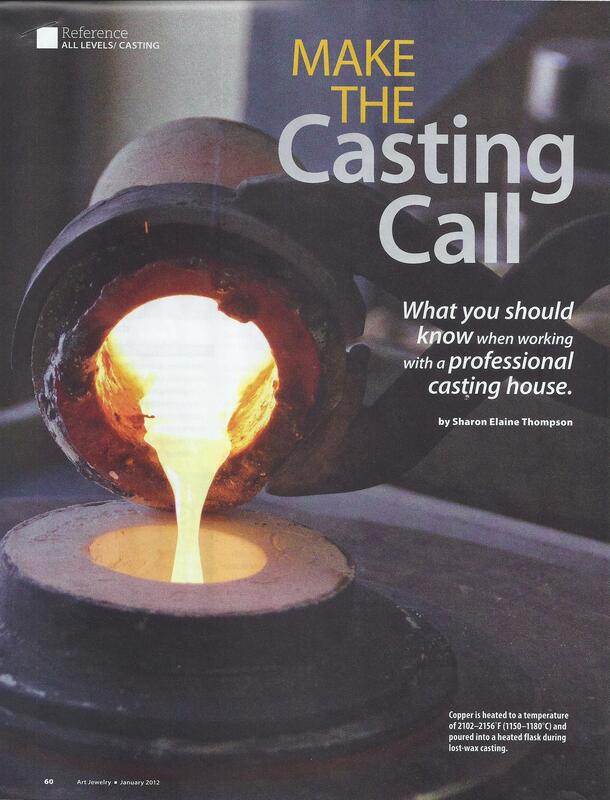 For jewelry makers who can’t or don’t want to do their own casting, here’s how to work with a professional casting house. Click here for PDF. 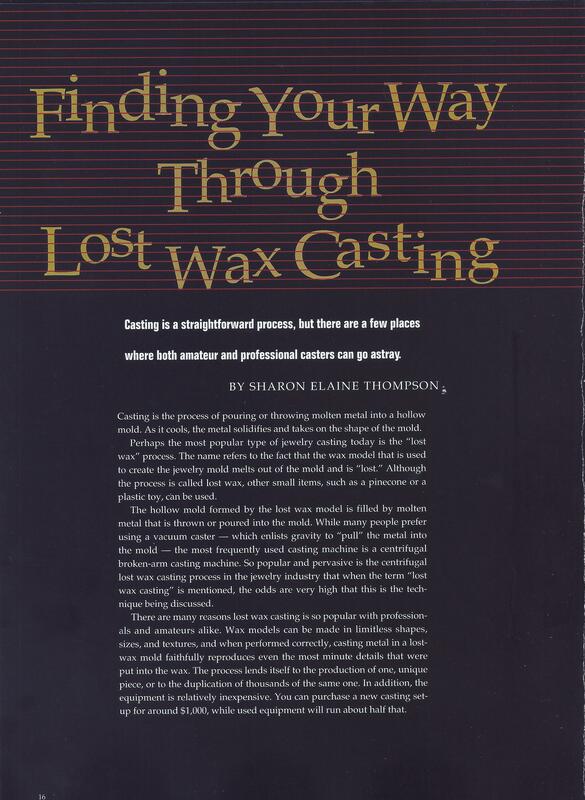 “Finding Your Way Through Lost Wax Casting.” The lost wax cast process is very straightforward, but that doesn’t mean there aren’t pitfalls along the way. Experienced casters share their wisdom. Click here for PDF. “Thirty-six Tips, Tricks and Tools for Better Wax Working.” Wax working is a time-honored way to make jewelry with simple tools. It’s not difficult to learn, but these tips from highly experienced wax workers can reduce the time it takes. 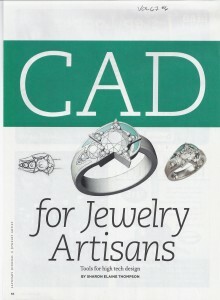 “CAD for Jewelry Artisans.” Love it or hate it, computer-aided design (CAD) and computer-aided manufacturing (CAM) are here to stay. 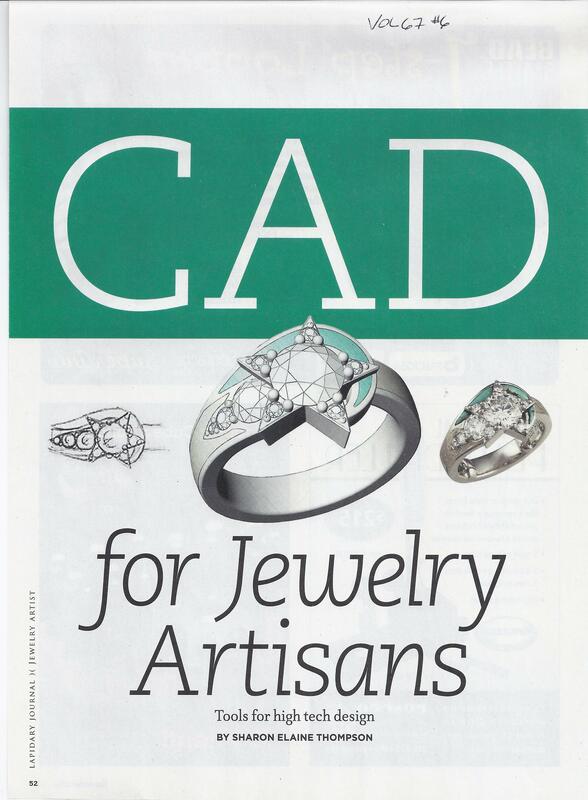 Here’s your basic introduction to CAD/CAM. Click here for PDF.